Aging is an inevitable process that everyone experiences. Its effects on the skin can be very obvious and they generally do not leave a great impression. 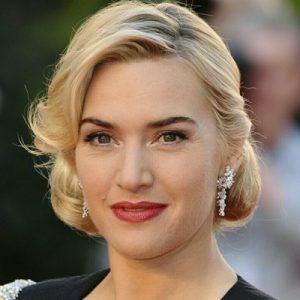 From age spots to fine lines and wrinkles to sagging skin, they take a bit of charm away from the person. The worst that can happen to a person is premature aging. Premature aging is very common among men and women these days, courtesy unhealthy eating habits and lifestyles. While you should wear your first wrinkle at least after crossing 35, over 40% of men and women start developing fine lines and wrinkles in the late 20s, showed a recent study. But luckily there are some really effective anti aging treatments in Dubai available to counter premature aging as well as aging signs that are well on time. As most people prefer to avoid surgery, non surgical anti aging treatments are now improving continuously and many are now at pat with surgical procedures. What is the aim of Anti Aging Treatment in Dubai? Chemical Peels: There are acidic solutions available in different strengths that resurface the skin to correct numerous aging issues at once. The new skin that forms has better health and a lesser presence of issues. The level of collagen also gets a boost from the treatment. Peels generally need to be applied a few times to get the intended results. Generally, local or topical anesthesia is used to numb down discomfort. Side effects mostly are mild in nature with little or no downtime. Microdermabrasion: Microdermabrasion Dubai uses a handheld device to spray tiny crystals on the skin to exfoliate it. This gets the recovery process underway immediately and new skin is formed which has lesser obvious signs of aging. Microdermabrasion also boosts the level of collage in the skin to further improve its health. Within a few treatment sessions, the desired outcome can be achieved. Topical anesthesia is routinely applied prior to the treatment to ensure no pain is felt. There is no downtime after the treatment and the side effects are very mild. 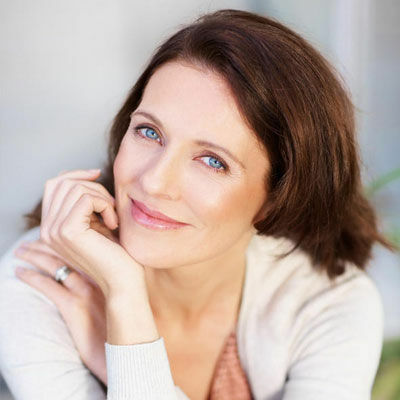 There are multiple laser treatments that are available for the purpose of getting rid of notable aging signs. Some work to boost the level of collagen and elastin in the skin while others concentrate on breaking down the pigmentation deposits to treat age spots and sun spots. There are others that resurface the skin to ensure that multiple issues are corrected at once. All these treatments bring fantastic results and turn the clock back on the aging process. DEKA Smartxide Fractional CO2 Laser is used for treating deep, etched wrinkles and creases on face. How to prepare for Anti Aging Treatment with Laser? Results of Laser Anti Aging Treatment in Dubai take a little while to become evident. You will notice an instant glow and enhanced skin texture, but it takes a few months and a few repeated sessions before full results can be seen. This is because your skin continues to improve as lasers stimulate collagen and elastin production in the treated areas. But you need to maintain a healthy skin care regimen as well as a balanced diet to maintain the results of treatment. It is a virtually non-surgical and non-invasive procedure. It is not a superficial treatment. It stimulates collagen production and skin cell regeneration in the deeper layers of skin. Since no incisions or cuts are involved, recovery is quick and uneventful. Results can be seen immediately after the procedure. Botox and Dermal Fillers also offer instant anti-aging fixes but their results are temporary. This is why most people avoid injections for anti-aging. To learn about all the Anti Aging Treatment in Dubai or to schedule a procedure, visit us at Laser Skin Care Clinic. We are also offering Anti Aging treatments in Sharjah and Abu Dhabi. For expert advice, spare a minute to fill in the form given below and get an absolutely free online consultation. I am 54 years old and like many other women I also wanted to be tagged forever young looking. My friends used to laugh at my desire reminding me every time we met that aging was inevitable and as soon as I’ll cross 50 my skin will begin to sag and wrinkle. But even at the age of 54 I look young and fresh with wrinkle-free skin, courtesy Katrina Valente and Laser Skin Resurfacing. If you also want to look young forever, stop going here and there, visit Laser Skin Care today. I started showing aging signs at quite a young age (37), courtesy my good genes. For 5 years I tried almost every anti-aging remedy at home but failed to get desired results. 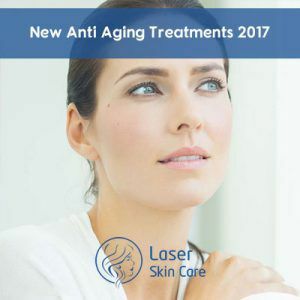 Last year I visited Laser Skin Care to find an effective solution and after just 3 Laser resurfacing sessions, aging signs have started to fade away. I am extremely satisfied with the results so far and would not hesitate to recommend Katrina Valente and her clinic to my friends. I am 45 years old house wife with two cute kids. I tried dermapen for facial wrinkles and it worked wonders. After just two treatments, I have started looking years younger than my actual age. What excites me the most is the positive feedback that I am getting almost every day since I started dermapen treatment. After every session, he is like “Wow! You are becoming younger and younger with every single passing day.” Can’t be happier more. You Don't want to Miss Our Offer on Anti Aging Treatments Dubai . Fill in The Form To Avail Our Special Offer For You!